Know the value of your vehicle before coming in to look for your new Mazda. Between Mazda and our dealership, Fairway Mazda always has special offers that you can take advantage of right here in Savannah. You've got your eye on a Mazda, so lets get you behind the wheel to see which is your perfect vehicle. Our qualified tecnicians will treat your Mazda or other vehicle like you would treat yours. Whether it's a standard oil-change or more intense work, you can trust Fairway Mazda. With our lenders, we'll find you the best price to have you drive away with the Mazda that will take you to those events in life that can't foget. Safe, secure, and fast. When you are looking for a new car, a Mazda may just be your best option. There’s only one way to know for sure, and that’s to try on for yourself. You can do just that at Fairway Mazda. 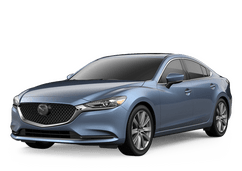 In Savannah, we have a huge number of Mazda options including the popular Mazda3, Mazda6, Mazda CX-5, and so many more. Not looking for a new car just yet? Fairway Mazda can still help. Not only do we have a huge selection of used vehicles, but we can also help you with any Mazda service or maintenance that you may need. We hope to hear from you soon! Since 1980, our family-owned dealership has proudly served Savannah and all the surrounding areas. We pride ourselves on customer service above all else, and we want you to have the tools and resources that you need to make the decision that’s right for you. If you live or work in Savannah, Hilton Head, Hinesville, Richmond Hill, Brunswick, or any of the surrounding communities, towns, or cities, then you should come to see us for your next car. Let us show you what makes Mazda such a great option.